muchas gracias Miguel ! por comentarios así me merece la pena seguir con esto, mil gracias un saludo !! this bag is just so cute! Reaaaally love this outfit photos ! So colorful ! Im fashion blogger from… MOROCCO !! 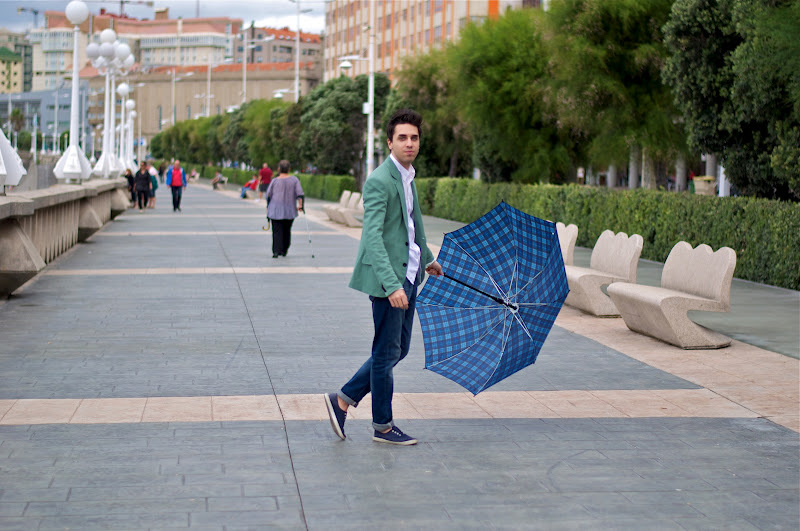 Love your photography iago and the outfit is totally cool!!! really pleasured for that, thanks a lot ! muy bonitas fotos y el look total la americana le da un toque de color genial , el paraguas a juego total , es de esta temporada ? 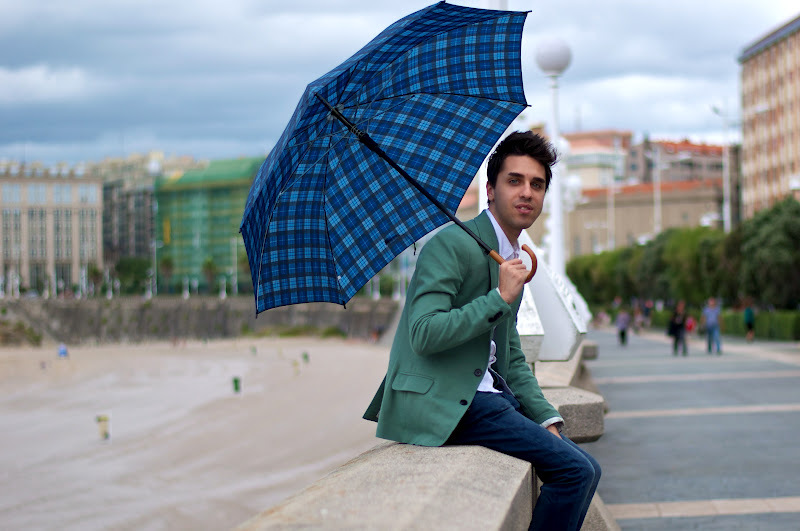 Que guapisimo, me encantan el paraguas y la blazer! gracias ! me pasare por tu blog un besazo !! Outfit favoloso! La borsa è stupenda!! Your bag :O I love! The umbrella is fenomenal ! You always look fantastic! I’m in love with the blazer and photos! amazing shoes! love this look! very chic, the blazer look great! Love the look! Simple but chic. 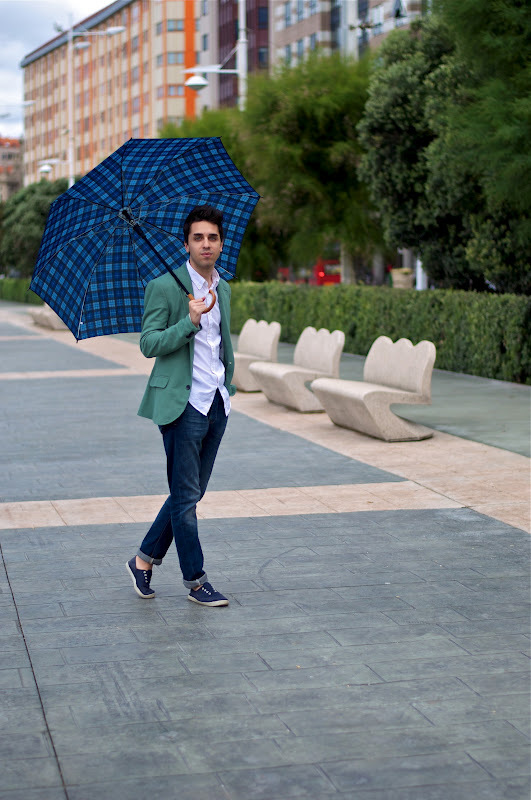 The shoes and umbrella are amazing! Love the mix! Great look iago. Mírale que mono y que elegante con su paraguas :) , esa americana me encanta de todas es mi favorita junto con la azul te quedan como un guante :) . yr photos are so fascinating iago! i visit your blog everyday now! Estas fantastico!! El look se ve genial! so cool, love this post!! OMG ! Your style is so fab ! OMG, love everything! I think it’s (for me) probably your prettiest outfit of the month!